The words “sushi” and “Israel” might not bring to mind a usual pairing, but since when do Tel Avivians strive for ordinary? Recently, from Japanese street food to tantalizing Thai, an Asian invasion has been taking over the Tel Aviv restaurant scene. And no international melting pot is complete without some 5-star quality sushi. 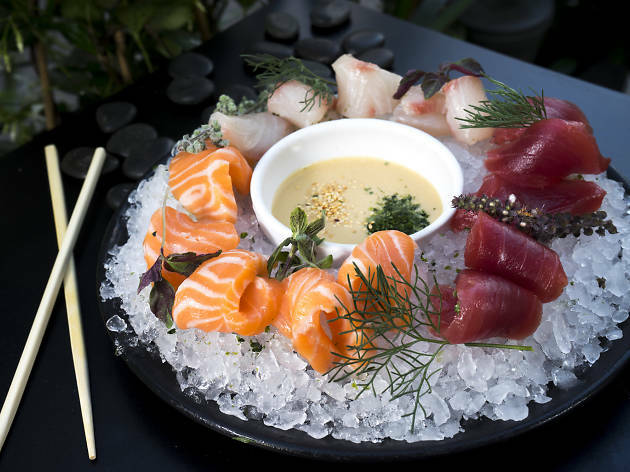 Think melt in your mouth red tuna sashimi near the park, fried shrimp tempura on Shabazi Street, and zuke style salmon at one of Tel Aviv’s top boutique hotels. Once you dine at these sushi shops, you’ll never want to get your fish fix anywhere else again. This restaurant in the Norman Hotel is part of the world-renowned Dinings restaurant (London) serving up a fusion of Japanese Izakaya-style small plates and European cuisine. 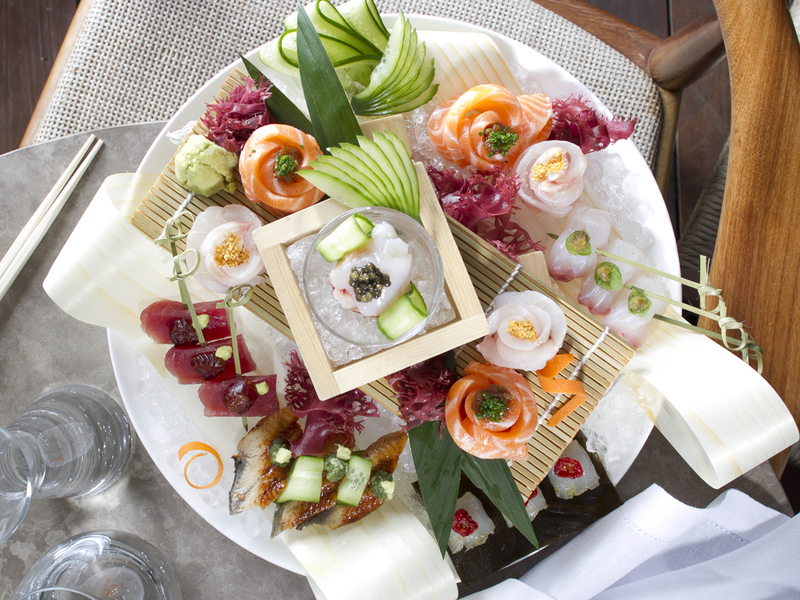 Set on a stunning terrace, take in a panoramic view of Tel Aviv, as well as a view of the chef’s workings, with an incredible menu of sushi, bento boxes and nibbles that are wildly creative. 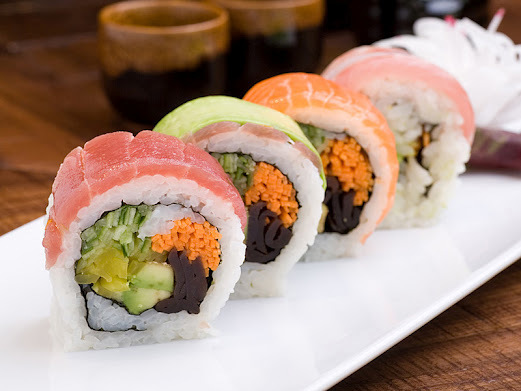 Yan is a great option if you are looking for some fresh sushi that won’t destroy your bank account. 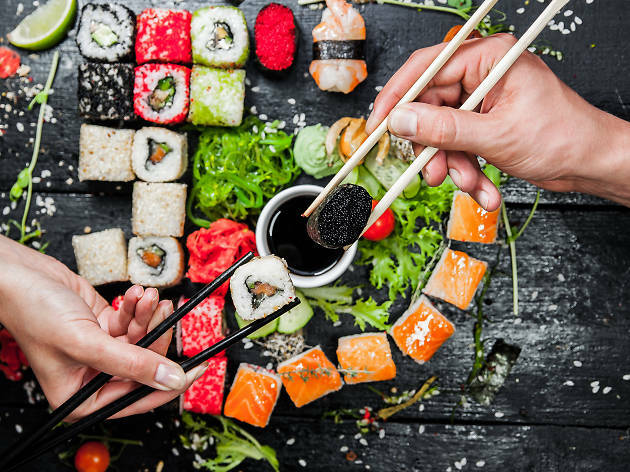 Located on the corner of Dizengoff and Ben Gurion, the sushi house is conveniently close to Gordon Beach and the Tel Aviv Marina, so stop by on your way to or from the shore–during lunchtime there’s even a 20% discount! With a wide variety of specialty rolls, tasty appetizers, and delicious wok dishes, everyone is sure to find something satisfying. 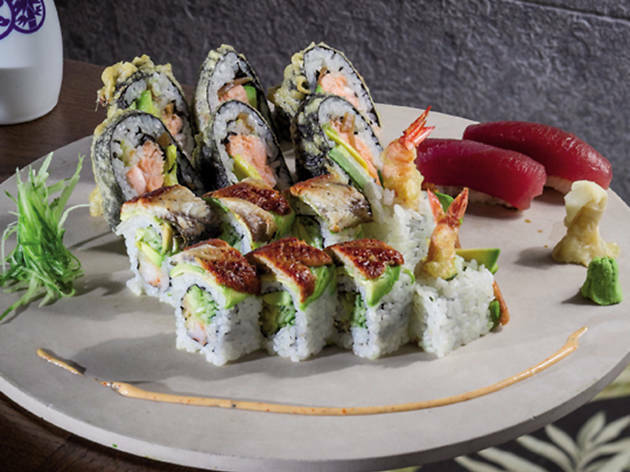 This fantastic gem of a restaurant has a menu packed with endless creative options of all kinds of special sushi rolls, each more delicious than the last. But because this little place is so beloved, it can become quite packed during dinnertime with couples, families, and friends getting their fresh fish fix. 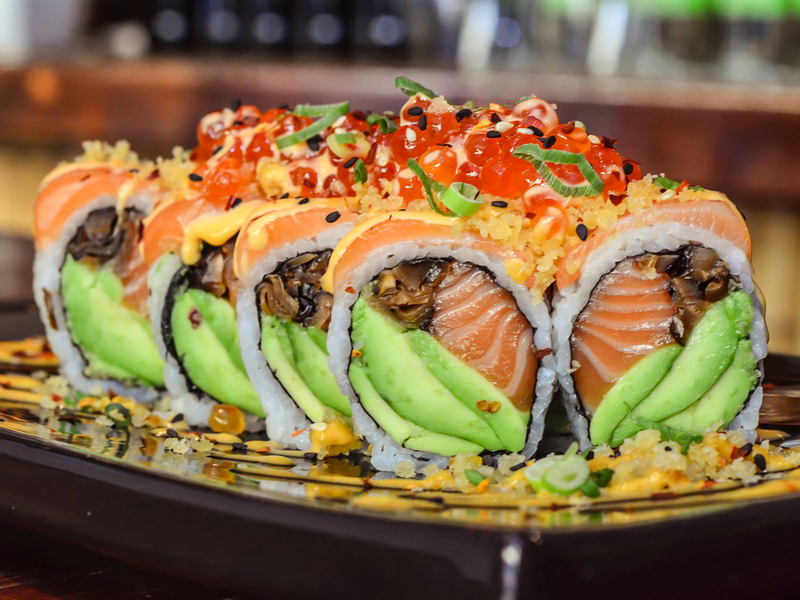 For those that keep kosher, Kanki is definitely the destination to get the highest quality sushi in Tel Aviv. Not into raw fish? They offer fantastic Japanese fusion dishes as well. And don’t forget to try dessert—crème brulee or chocolate lava cake anyone? Wining and dining at the famed Yakimono throws a spanner in the works. The conundrum? You’ll never want to eat at home again. While its walls may be small, Yakimono’s charm is hugely captivating, located just off the prestige of Hilton Hotel’s lobby. Seeing as though it’s such a special occasion every time Yakimono is featured in your evening, opt for the tasting menu with an array of Japanese dishes designed to appeal to the Asian cuisine enthusiast. Look out for the fish wasabi and loosen that tie a notch to keep Yakimono-ing. Following his success in Taizu and Miazaki, Chef Yuval Ben Neriah is determined to bring real Japanese street food to Tel Aviv. Ben Neriah defines his restaurant ‘Ya Pan’ as his “interpretation of Japanese street food, where some of the products are close to the original and others rely on abstract ideas.” The food served at Ya Pan presents a wide range of new flavors for the Israeli culinary scene, including Japanese curry udon, katsu Carry (Japanese schnitzel), Japanese meat or fish dishes served alongside well-known classical Japanese dishes or classical bistro dishes that were taken care of “Japanese-style." 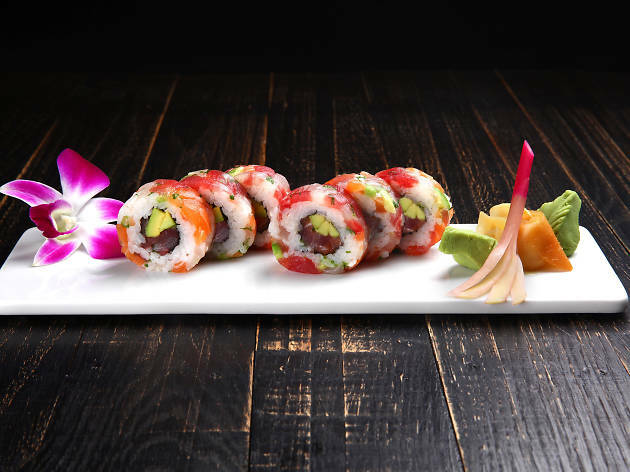 Take a break from the same old sushi and open up your minds to the endless possibilities Ya-Pan has to offer. 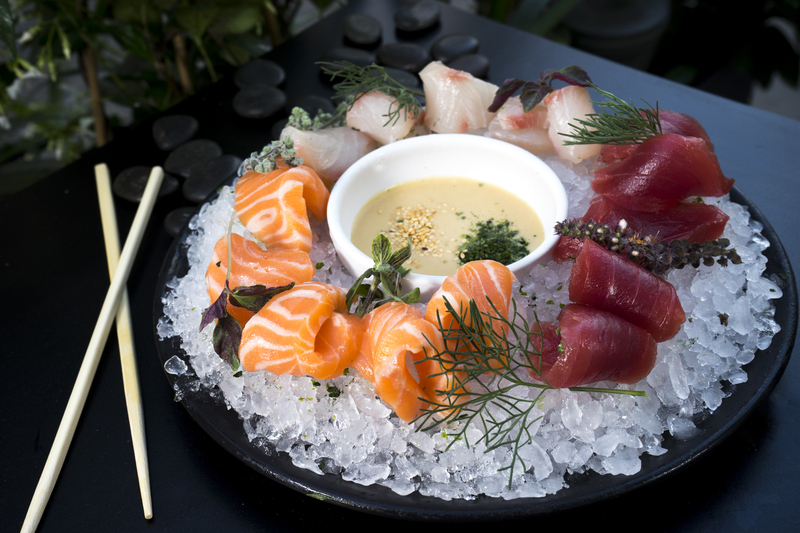 Fu prepares beautiful Japanese food at high standards coupled with a lively Tel Aviv neighborhood feel. Enjoy prestigious, detail-oriented sushi created beautifully in front of your eyes or dine on flavors from the wok. 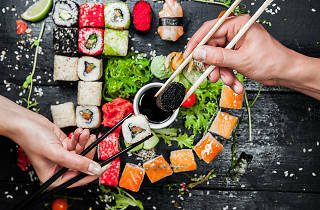 Whether you want a casual bite at the bar, a gorgeous Japanese dinner or a Tel Avivian evening of people-watching, everything can be found here.